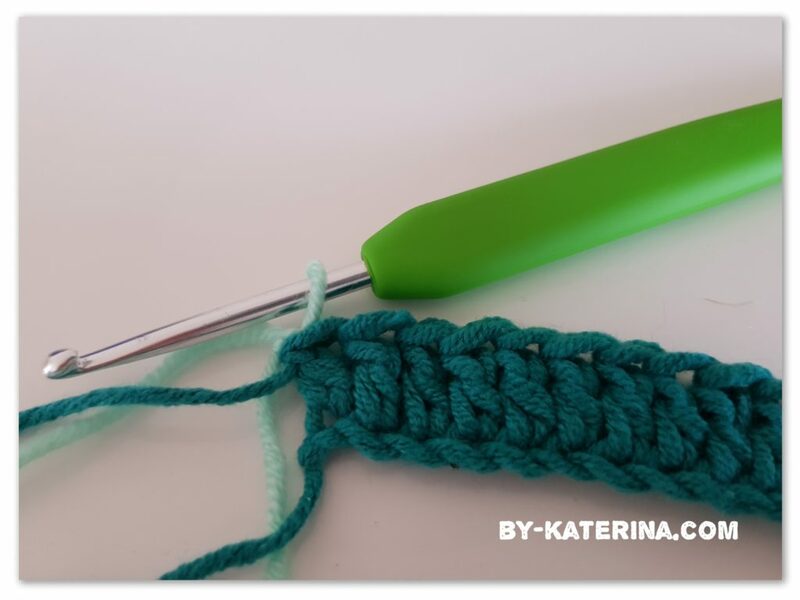 In this post I’m gone show you 4 simple methods on how to change colors in crochet. I’m sure that each of you already have your own method and maybe is one of these 4, but if you looking for a new method or want to find out how you can do this in other way, this is for you. All 4 methods have something in common, you change the color at the end of the row when you want to work with different colors for the entire row. When you want to change the color in the middle of the row is a different discussion and we will talk about this in this post too. 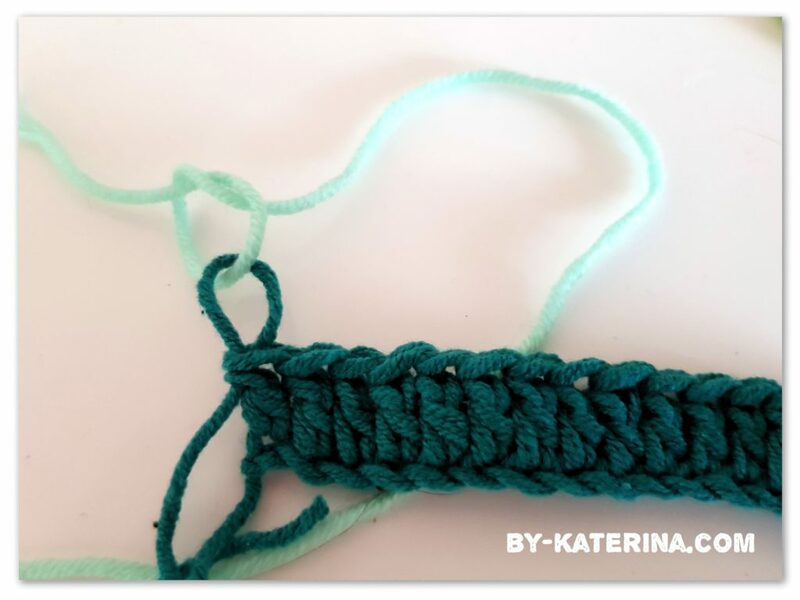 You finished the row and made your last stitch (in this tutorial I made double crochet but it work with any stitch). 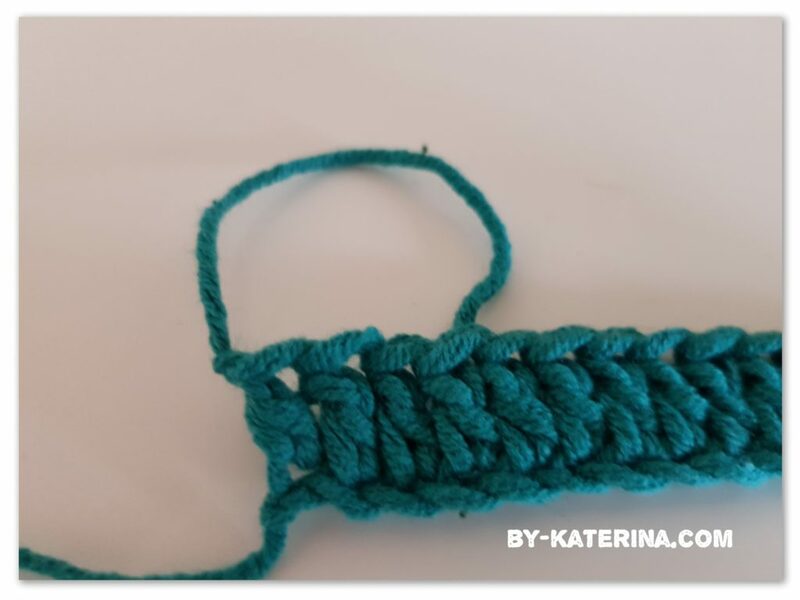 You don’t have to finish the stitch, let 2 loops on your hook. 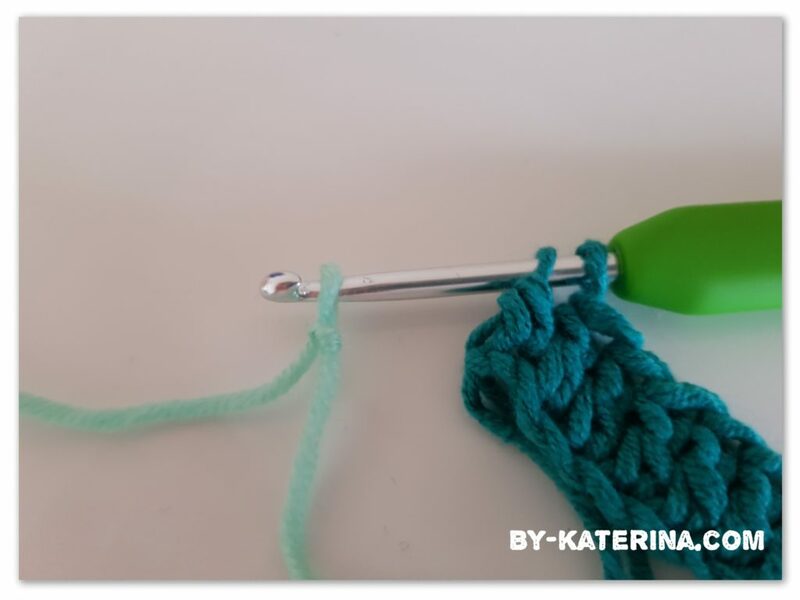 Then grab your yarn in the other color and pull a loop trough the 2 loops on your hook, finishing the last stitch with the new color you want to continue. Then just continue with the turning chain and working your stitches as usual. This is pretty similar with the first one, only that before you pull a loop with the new color, first we make a slip knot. Pull out the loop trough without the slip knot. 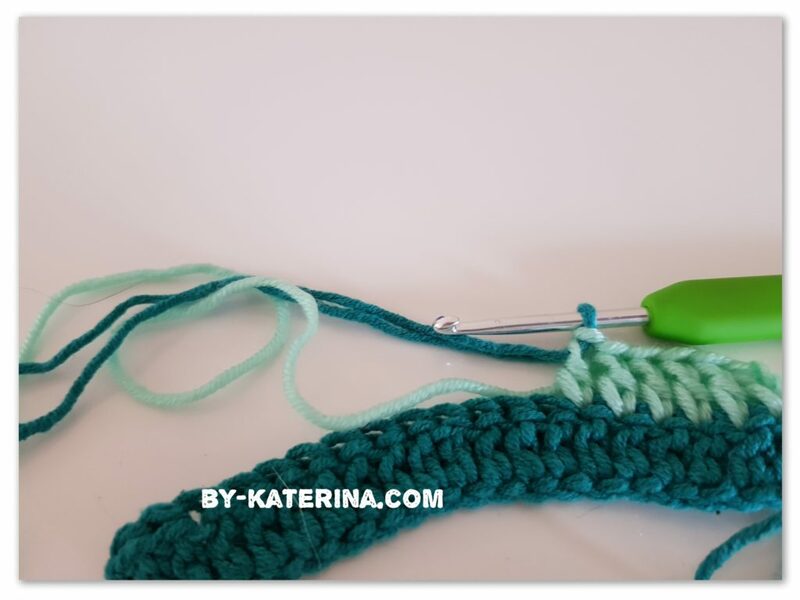 This time you will finish the last stitch and pull the loop on your hook to make it a little bigger. 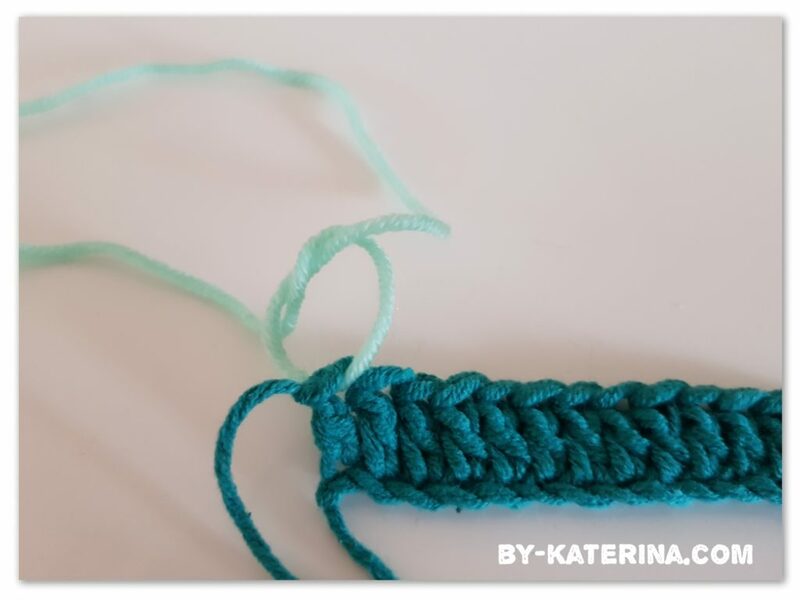 Then take the other color yarn, insert it trough the loop and make a knot. Then insert the hook trough the loop, pull the yarn and make it smaller and with the new color yarn pull trough the loop. Then continue working as usual. Well, this time finish the last stitch and fasten off. 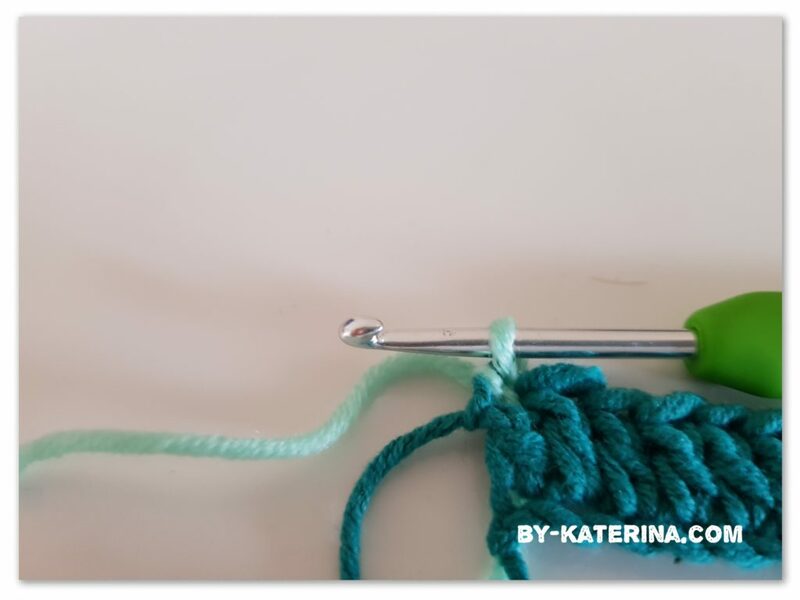 Now, insert the hook in the last stitch, grab your new color yarn, pull out the yarn trough the stitch and make a knot. Insert the hook in the stitch again and with the new color yarn pull out a loop, then continue working as usual. 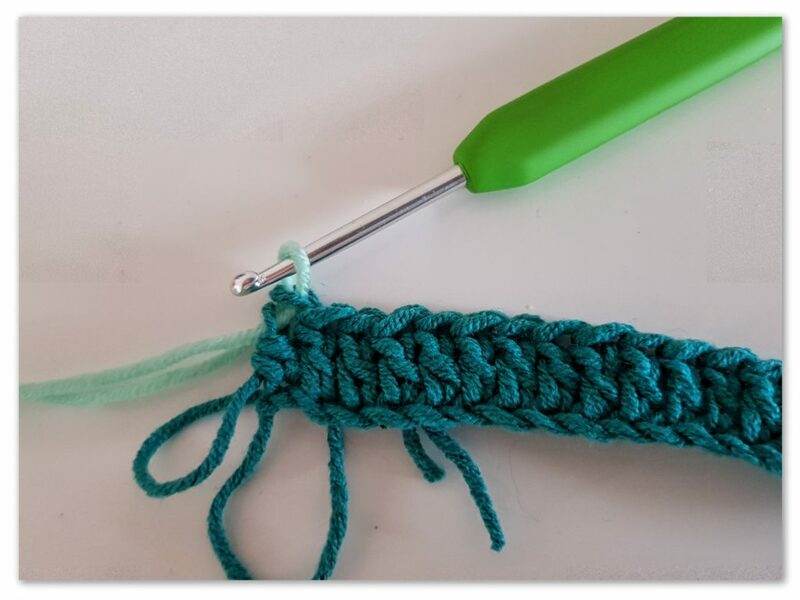 These are the 4 method to change colors in crochet that I had for you today. Which one works for you? Now let’s see how we change colors in the middle of the row. 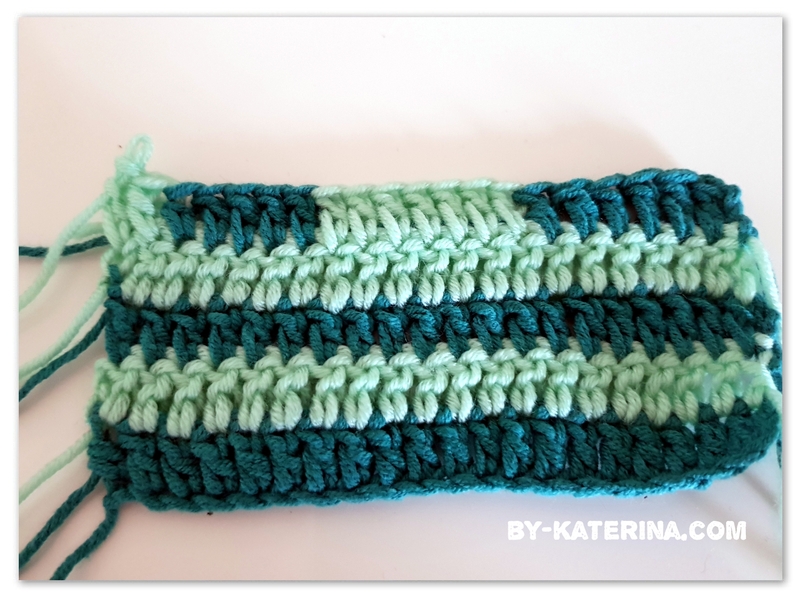 When you want to change the color in the middle of the row, let the last stitch made with the first color unfinished (keep 2 loops on your hook). 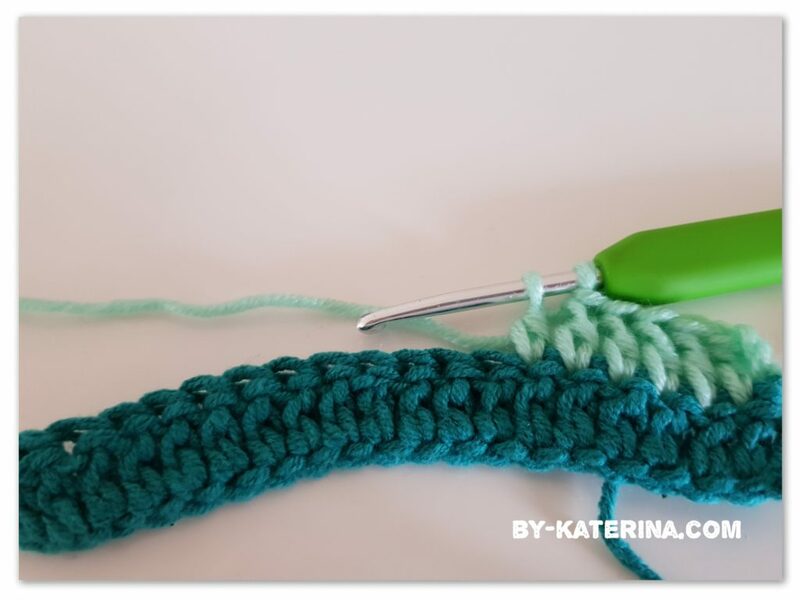 Then grab your new yarn and pull it trough the 2 loops on your hook, finishing the stitch with the new color yarn. And continue working as usual. You can carry on the other yarn color, kipping it on the top of the stitches and work the stitches over it. In this way you have the other color on your hand when you need to switch again. Hope this post will help, even if you are a beginner or not. 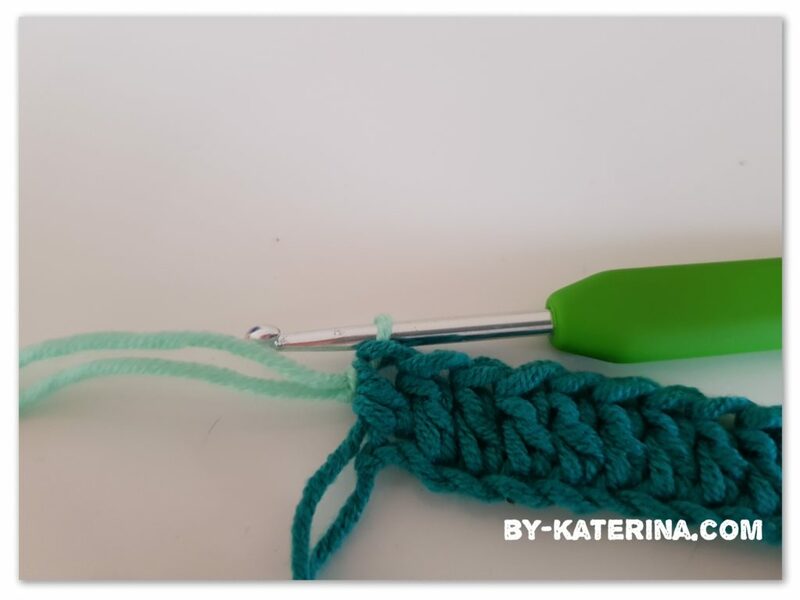 Bellow you will find a short video tutorial in which I am showing you the 4 methods on how you change colors in crochet. Follow me on Pinterest to find out more tips & tricks every week. 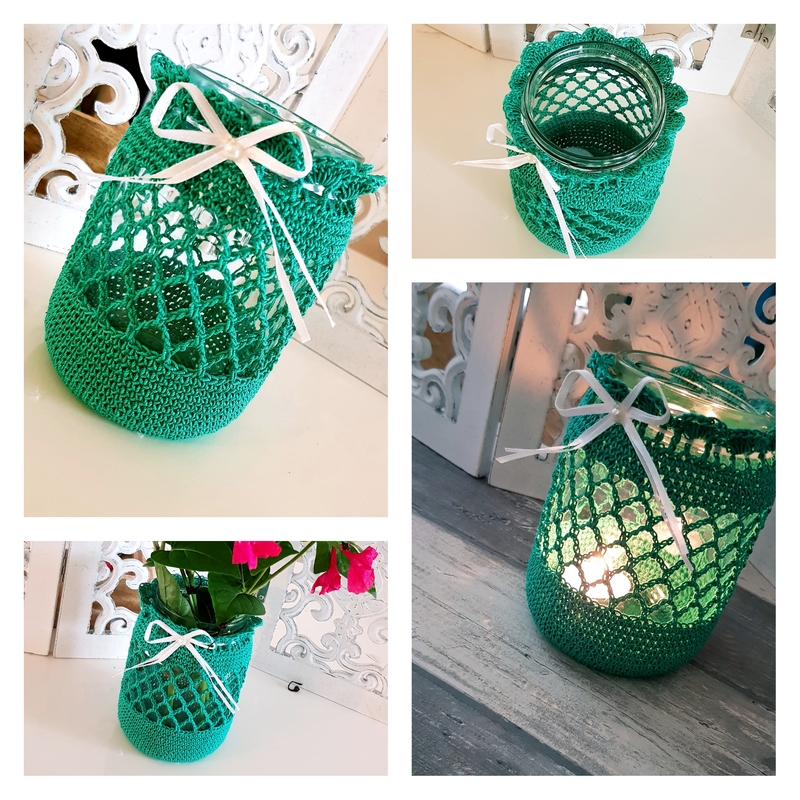 Enjoy crochet and save this post for later.